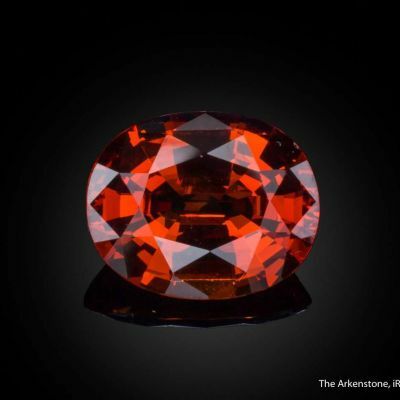 This is a VERY rare old, historic specimen from a locale that you don't see on the market at all anymore. 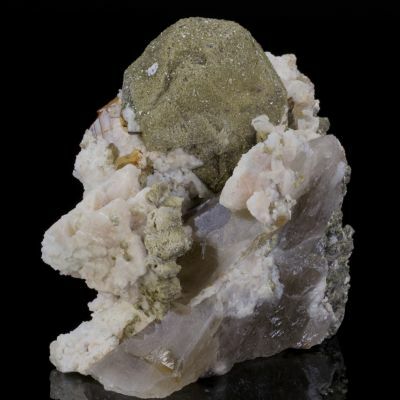 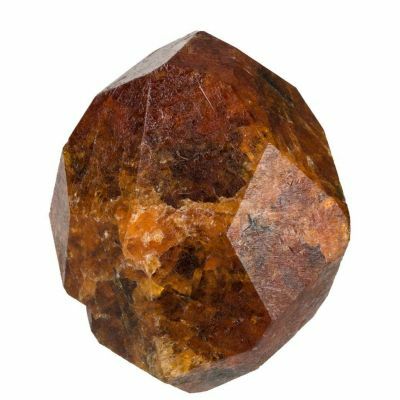 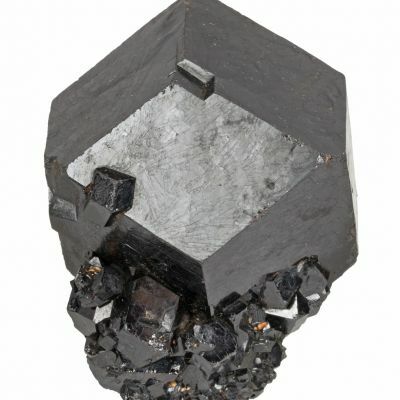 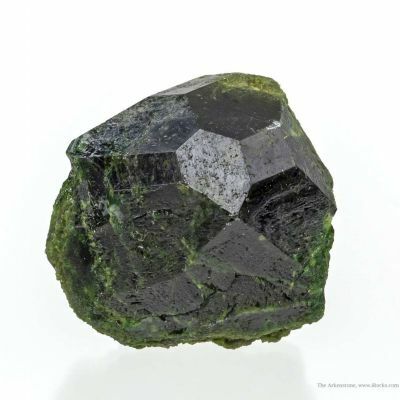 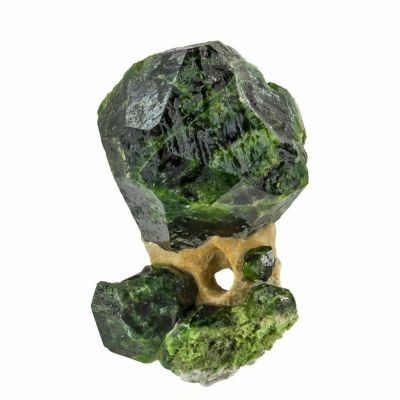 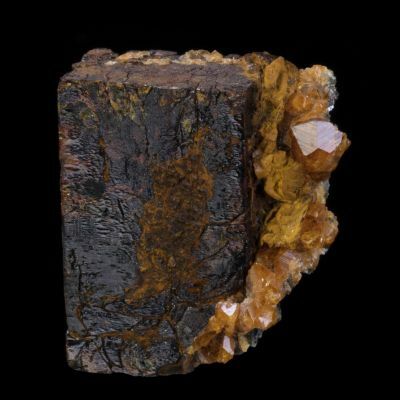 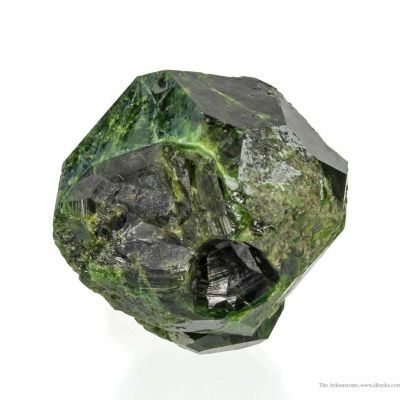 Perched aesthetically on a silvery, micaceous schist is a doubly-terminated, lustrous and slightly translucent, dark reddish orange garnet crystal, showing great dodecahedron faces, and measuring 3.1 cm in length. 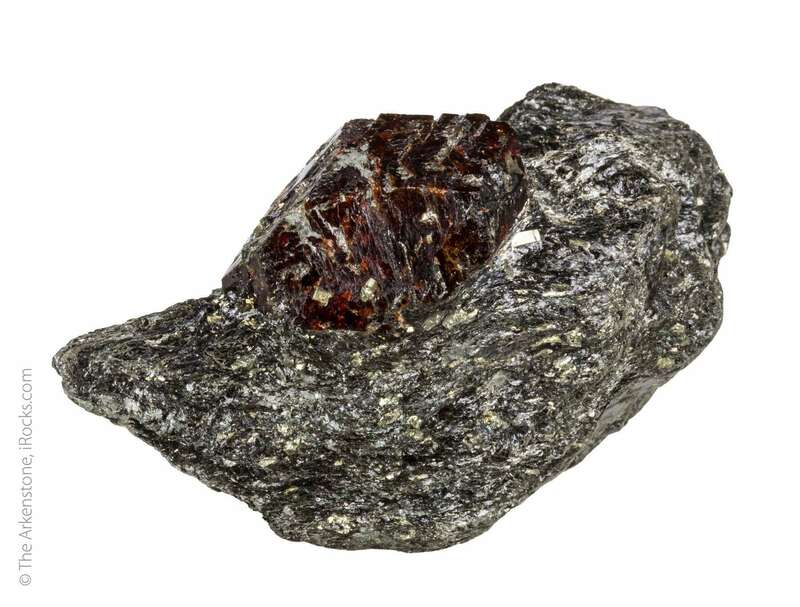 Tiny pyrite crystals are present in the schist. 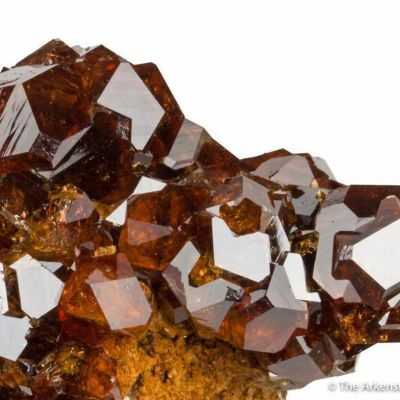 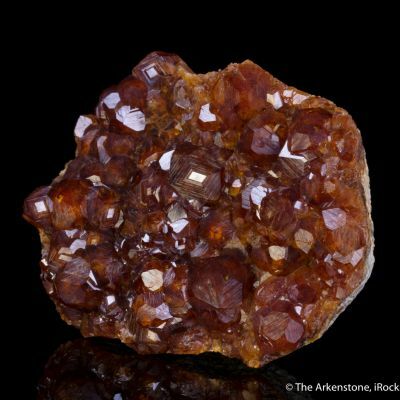 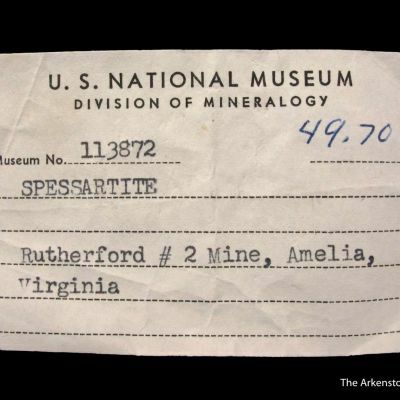 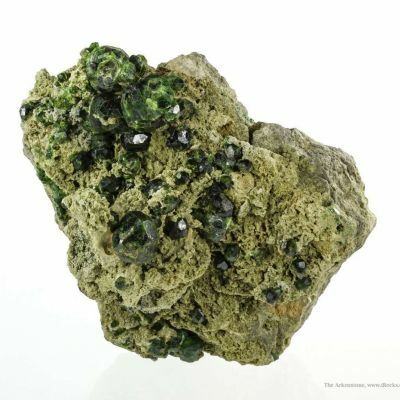 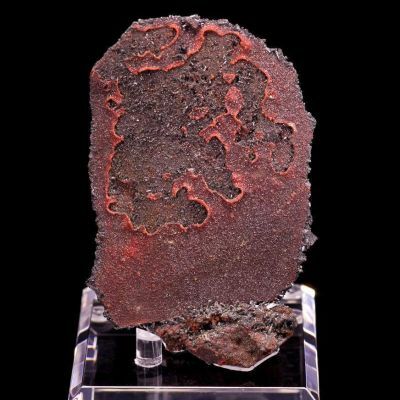 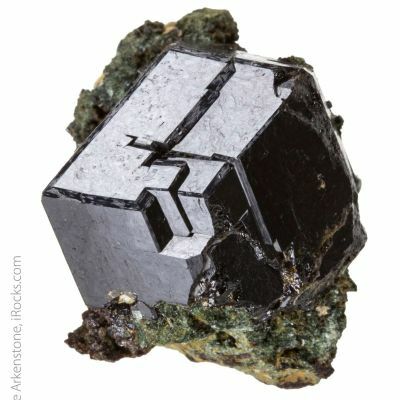 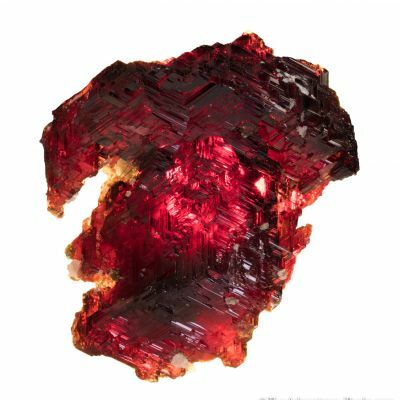 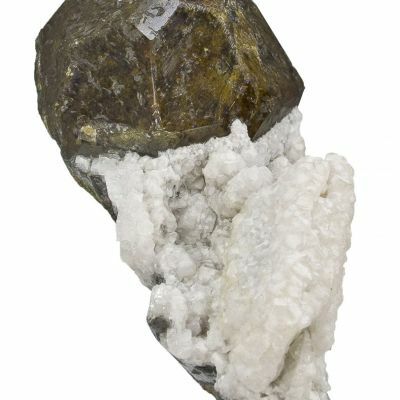 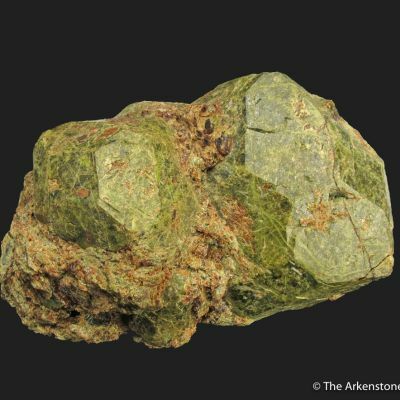 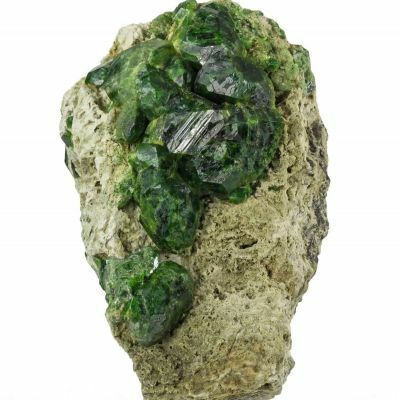 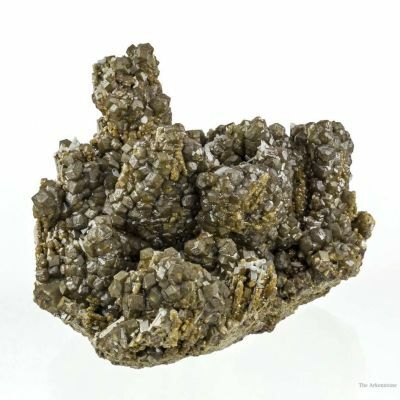 There is a possibility that the garnet species may be almandine rather than spessartine. 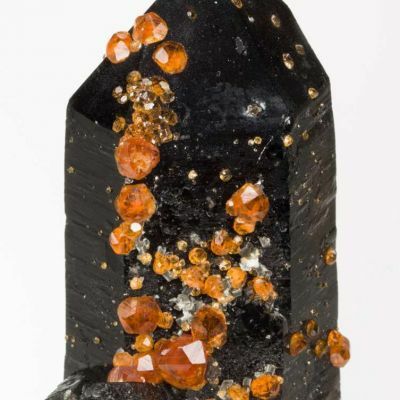 Ex Robert Trimingham collection.